It's rare that I rave about a product quite this much, but this particular product is truly fabulous. My nails were going through a scrappy phase. Breaking, flaking, never getting to any length. Generally looking sad and uncared for, no matter how much effort I went to. But this all changed with, quite honestly, the very best nail product I have ever tried. 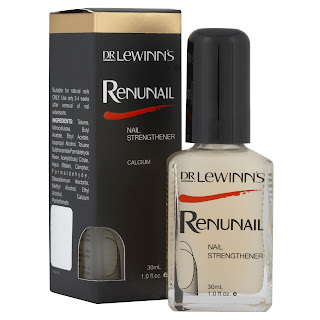 Dr Lewinn's Renunail Nail Strengthener goes on like clear nail polish. Put two coats on to start with, and then apply another layer every day for five days. You don't remove each day, just build up layer on layer, which gives a lovely finish. Then remove and start again. Repeat three times, then allow your nails to 'rest' for one - two weeks. Oh and I also massaged Renunail Nourishing Oil into my cuticles after each coat has dried. My nails are now, quite simply, fantastic. Even a manicurist has asked me my secret. Dr Lewinn's Renunail Nail Strengthener come in a double size bottle (30ml) and retails at £21. Renunail Nourishing Oil is £13 for 15ml. I don't normally over-plug where to go and buy stuff, but I really, really want you to buy this, so it's available from Debenhams and other retailers, call 01892 750850 for details. 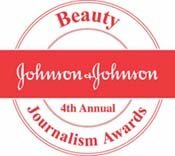 Without a doubt, one of the best beauty products I have ever tried. Thanks Toni. Glad it's on offer - it really is a fab product, my nails have never been better! I swear by this stuff! It is simply amazing! I use it as a base coat now for my polishes and it works surprisingly well! I will always repurchase this! I recently bought Renunail after doing some research and coming across your post. I am curious though, from your experience did you find that you can you apply this every day over nail polish and it still be effective or does it always have to be over bare nails? Hi Gemma - sorry for slow response - I've not used it over nail polish. I apply daily for 7 days, or just use one coat as a base coat. Hope this helps! Fantstic product. I have the most beautiful nails for the first time in many years - this Renunail is awesome. I now just use it as a base coat and then as a top coat and my nails look and stay fantastic. I never review products but this IS the nail product to buy. Worth it's weight in gold - I'm so proud of my nails now and feel so confident showing them off. The beauty product pictures looking clean and high quality for the white background behind it. Could you please tell which software did you use to remove the background?